Be careful what you wish for – it may come true. Comfortably residing at the top of many a militiaman’s wish list as the summer release got closer was that something be done about plex farmers. CCP responded by making changes to Faction Warfare plexes in Kronos, but those have not been received without controversy. 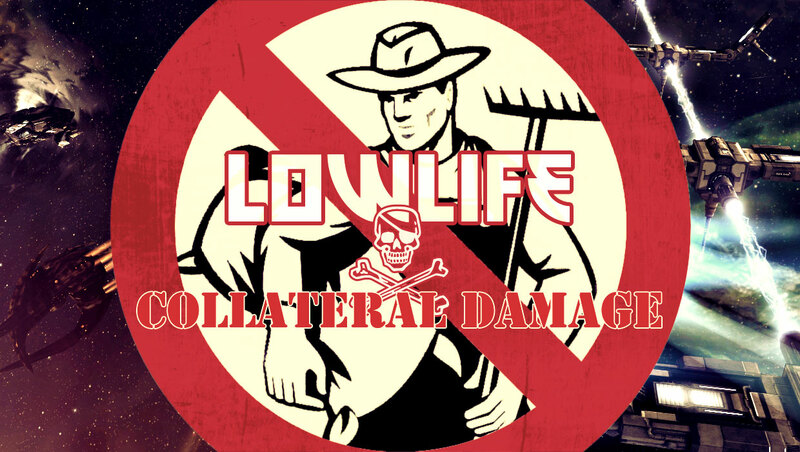 Today’s Lowlife examines how lowsec is reacting and adapting. Amongst those vocal about the changes we find a strong contingent of solo PvPers. The toughness and spawn frequency of the ‘new’ NPCs mean that they will affect a large number of solo fights. In small and novice plexes where the margins between victory and defeat are routinely narrow they can make all the difference. For instance; a balanced frigate running a small plex will spend somewhere in the neighbourhood of 3-4 minutes killing off the destroyer NPC’s, so there’s a good chance they will be on grid once a fight ensues. Solo roaming in FW space is often done in frigates for a number of reasons. Flexibility to enter plexes and better chance at getting through gate camps are two of them. Some of that flexibility is removed however because attacking or defending a medium (not to mention large) plex where the NPC is on the side of the opponent is a severe handicap. The NPCs now also have a heavier influence on fitting for solo fighting and plexing. Kiting and neuting setups are common for solo action but both pay for their specialisation with low DPS. The lowered DPS means that running a plex in a kiting or neuting ship has now been rendered comparatively inefficient – the NPCs don’t do much damage but have a considerable active repair, don’t care about neuting and magically match the speed of anything they’re engaging. Commonly people looking for a fight would find a suitable plex, clear it, and then sit there and wait for a fight to come their way. Any potential opponents could jump into the system, scan down the plexes like a smorgasbord and warp to the gate, at which point both combatants could clearly see each other on short scan and choose to take the fight or leave. The NPC presence is now a considerable factor in that scenario and sitting in a plex in enemy territory, waiting for / offering a fight, now takes quite a lot of work. Some worry that these things are having a detrimental effect on solo content. When stepping back and taking in the big picture for Faction Warfare another concern emerges. The changes mean that offensive plexing requires considerably more effort than defensive. While this has had the intended effect of severely reducing farming for farming’s sake it has also reduced offensive plexing amongst active PvPers. According to a faction of military thinkers and analysts across the militias this translates to a significant reduction to ‘organic’ offensive plexing, leaving only coordinated and concentrated effort and resulting in an overall stagnation of Factional Warfare conflict. The logic here is that the NPCs themselves are fine, but that the spawn intervals are far too short. Grievances from the perhaps unexpected standpoint of newer players also exist. The argument from this camp is that novice pilots now find it even harder to make a living by plexing and that the changes ostensibly become an even tighter bottleneck. A number of those who subscribe to this line of thinking argue that the changes were brought on by veteran PvPers with little concern for the new guy. It is believed that not only will green pilots have trouble dispatching the NPC’s but they will also be more vulnerable to attack. Some of the earliest complaints to the decloaking mechanic came from players who routinely hunted in cloak-fitted ships. These pilots felt that their game was being sacrificed for a perceived greater good that they didn’t necessarily agree with. They argue that the changes dumb down plex fighting and that the decloaking radius is a clumsy solution, often pointing out that warp core stabilizers are the problem, not cloaks. Farmers can still sit just on the edge of 30km, move out of the decloak radius within seconds and simply cloak up and wait just as they always have. It’s easy to complain – EVE players are specially good at it. The smallest change will have someone up in arms, meanwhile no change equally has people marching up and down the forums wreaking havoc. Sometimes we get it right and push the game in the right direction, other times it’s just growing pains. It is my (and many others) belief that that the changes to plexes in Kronos are good for lowsec, all of them. Sure, the spawn rates and some supporting mechanics may need to be tweaked, but all in all I think this is a leap in the right direction. Alternatives such as the elegant DPS penalty to warp core stabilizers or the much supported (albeit debated) timer rollbacks idea are still valid, but it’s easy to forget that they too would have unwanted side-effects (on a side note; Mynnna proposed a very different and interesting solution). 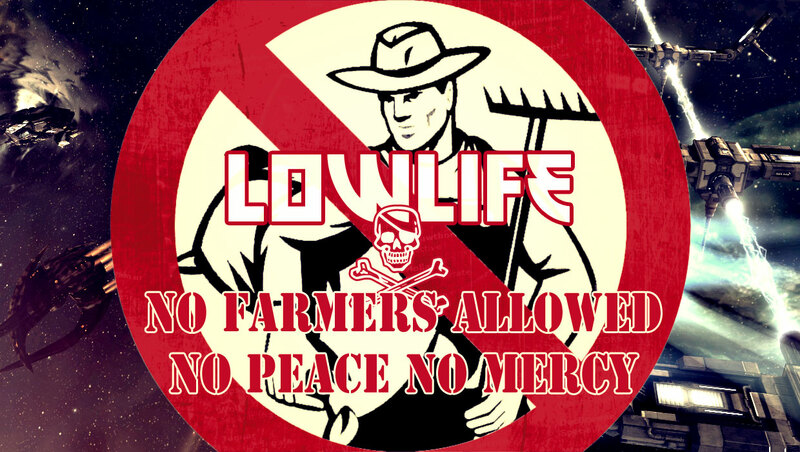 All across the warzones we have seen a reduction in blatant farming; op success as far as mission statements are concerned. Solo PvP and cloaking combat fits may be chipping in for the bill, but with Kronos other avenues for solo work as well as increased incentives for people to visit lowsec compensate for that. Even though belt fighting and exploration are cooling off from the initial shipping of Kronos they’re bound to stay at a higher level than before, hopefully picking up the slack where plexes may be losing fight opportunities. As for reduced ‘organic’ offensive plexing, the changes mean that warzone control is taking on a more strategic tone, which in my book is a good thing. Faction Warfare tacticians have grown used to manipulating and using farmer behaviour as a part of their schemes, but it is a tool that didn’t really fit the toolbox to begin with. Increased incentives for taking territory are probably a better answer to those concerns, things that are worth fighting and working for together, perhaps not even limited to the war zone. It must be said that it is indeed a harder FW out there for the new player. However, many of these green pilots are acting on what they’ve been told, and quite often those guidelines stem from an obsolete way of thinking. Plexes and LP aren’t the only viable way to make some ISK in lowsec, especially not after Kronos. Even the value of LP is changing; with many of the farmers gone the LP market is cooling down and items are worth more, compensating for the added time and risk involved in taking a plex in enemy territory.